News was leaked Thursday about another wonderful night of music by Clay Aiken. The North Carolina Theatre sent E-mails to people who were on their membership list. The body of the E-mail was not about the performance. However, a small mention at the end caused a huge reaction all over the internet. The concert, named Bringing Broadway Home is a fundraiser for the North CarolinaTheatre Group and is bound to be a huge success. Scheduled for June 21st, the program will be held at the Raleigh Memorial Auditorium. Some fans are already making plans to travel to see the musical evening. Joining Clay Aiken on the stage are four seasoned performers. Their bios are amazing. “A native of Charleston, South Carolina. 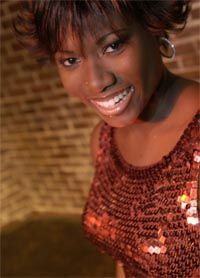 Quiana Parler began her professional career singing for Calvin Gilmore of the “The Carolina Opry”. After years of being one of the most sought after vocalists in South Carolina Low Country, in 2003 she parlayed a placement in the Top 48 of season two of the Fox hit American Idol into the gig she is most known to Triangle audiences for: touring vocalist with American Idol’s Clay Aiken. In addition to touring with Aiken, she has shared the stage with a diverse array of national artists ranging from Keith Sweat to Kelly Clarkson. She can be heard on albums by Clay Aiken, Bianca Ryan and Renee Olstead, and has recorded with some of the industry’s most respected producers: Walter Afanasieff and David Foster. She has performed on Saturday Night Live, The View, NBC’s Today Show, The Tonight Show with Jay Leno, Good Morning America, Tyra and numerous other national television programs. Lauren Kennedy is a native of Raleigh, North Carolina. She is an actress and a singer who has performed many roles on Broadway. She most recently originated the role Off-Broadway at Second Stage last summer. Lady of the Lake in Spamalot, Fantine in Les Miserables and Betty Schaefer in Sunset Blvd. Javert in the original Broadway cast of Les Miserables, Beast in Beauty and the Beast and Chauvelin in The Scarlet Pimpernel. 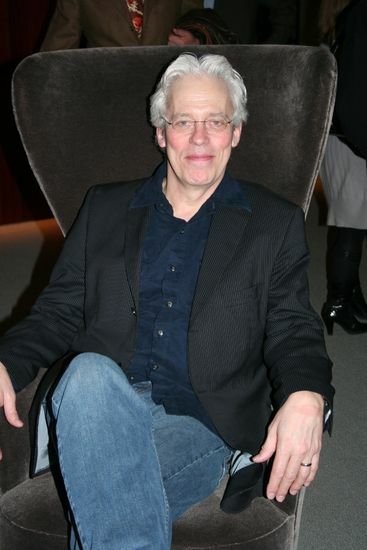 Mann is currently playing the role of Mal Beineke in The Addams Family which opened on Broadway on April 8th. Sharon Lawrence is a seasoned stage actress. She was recently nominated for an Ovation Award and won the LA Drama Critics Circle Award for her acclaimed performance as Vivian Leigh in Pasadena Playhouse’s Off Broadway hit Orson’s Shadow. Her last Broadway appearance was as Velma Kelly in Chicago. Sharon has done a great deal of acting on TV. She has had major roles in NYPD Blue, Desperate Housewives, Monk, Law and Order:SUV, Grey’s Anatomy and Curb Your Enthusiasm and many more. Clay Aiken has performed many songs from Broadway shows. 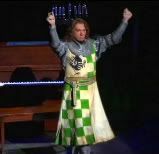 His show-stopping performance in Spamalot of “You Won’t Succeed on Broadway” was always fun. Clay won honors in North Carolina when he sang “This Is The Moment” from Jekyll and Hyde. Although still in high school, he wowed the audience at the Raleigh Memorial Auditorium with an emotional performance. On June 1st of 2008, Clay was a part of an outstanding cast that performed selections from the musical, “The Civil War.” Clay performed the poignant song, “Sarah.” On stage with Clay were Hal Holbrook, Trisha Yearwood, Larry Gatlin, Avery Brooks and Maya Angelou. The program was presented at the National Theater and was a benefit for the Ford Theatre. The audience was full of many celebrities from the fields of politics to the area of entertainment. The guests included President and Mrs. Bush. What an amazing amount of talent. Each performer could put on a wonderful concert alone. Instead, Raleigh gets all of them on the same evening. Tickets will be hard to get! What songs would you like to hear Clay sing at this event? Maybe he will sing “What Kind of Fool Am I?” This song was a stand out hit from the musical “Stop The World – I Want To Get Off.” So, now it’s your turn………let us know what songs are on your wish list. This should be fun! I'd LOVE to hear Clay sing "The Impossible Dream". He'd kill on it…..as he does on ANY song he sings. Love he is sharing the stage with other Broadway performers in his home town. Here's hoping Clay and Quiana revise their rendition of Listen again. I too would love to hear Clay Aiken and Quiana Parler sing "Listen" I also loved his duet with Hannah W. of the Prayer. He can sing just about anything and I would also love to hear "Impossible Dream." #2 is supposed to be Les Miz…sorry!! Wonderful article/info on the performers including Clay Aiken. Thankyou!!! Excellent report on the "Bringing Broadway Home" fundraiser for the North Carolina Theatre Group. I am sure whatever Clay Aiken sings will be perfection! Thank you for your kind remarks in the Carolina blog. Have a great weekend! I didn't realize "What Kind of Fool Am I" was in a musical. I agree with Rally wanting to hear "Bring Him Home" from Les Miz. I'd love a duet with one of the ladies, but right now can't think of which song I'd most want to hear. Error: Error validating access token: Session has expired on Tuesday, 21-Aug-18 16:13:01 PDT. The current time is Tuesday, 23-Apr-19 18:13:56 PDT.